No matter whether you want to build a successful blog or earn more in your career, the only way to achieve higher success in what you do is to become an expert in your industry. 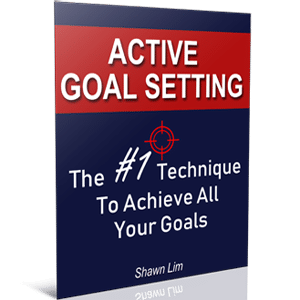 When you take a look at all the extraordinary people who have achieved outstanding success in their lives, people like Elon Musk, Mark Cuban, Gary Vaynerchuk, Steve Jobs, Kobe Bryant, Lionel Messi, etc, all of them are experts in what they do. And that is why they are highly successful. I know that becoming an expert in your field is often easier said than done, but with the right amount of practice, knowledge-gaining, and confidence in marketing your expertise, you too, can become an expert in what you do. You have to understand that an expert was not born, but learn. Meaning, anyone can become an expert if they are willing to put in the hard work and time, including you. Becoming an expert is not just about learning and becoming skillful in your industry, it is also about marketing your expertise. Without marketing, nobody will know that you are an expert. And if nobody knows that you are good at what you do, how can you be an expert then, right? Thus, it is a mixture of growth and marketing. You have to let the world know that you are good. An expert will never hesitate to market himself or herself to the world. An expert knows that the more popular and famous he gets, the more he can leverage on the community to achieve his goals. Highly successful people are never afraid to show their results and share their knowledge with the world. Take a look at Elon Musk and Steve Jobs, both are experts in what they do, and yet, they are not afraid of sharing their ideas and expertise with the world. If you want to be an expert, follow the suggestions below. 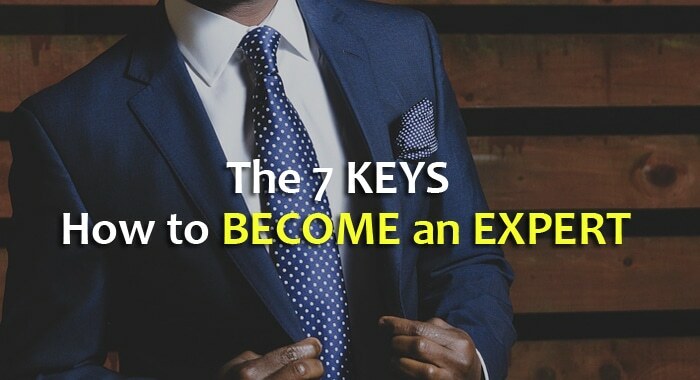 They are the 7 keys that you must possess in order to become remarkable at what you do. Below is the infographic of this post so that you can understand the big picture and quickly grab the idea of becoming an expert. After the infographic, it is time for the full explanation, which I strongly recommend you read. If you like the infographic above, kindly share to your social networks so that others can benefit too. Cheers. If you want to be an expert in your field, you must learn to be a specialist. In other words, you must micro-specialize. You must start by focusing in an area and become good at it. Think about a general doctor and a heart specialist. The difference is that a heart specialist focuses on handling patients with a heart problem and thus, he is able to command a higher pay. On the other hand, a general practitioner focus on everything and thus, has to go through the price war and fight with other competitors by lowering his or her fees. Therefore, if you want to be an expert, learn to become a specialist by focusing on a niche market, not in a broad market. So, become good at what you do by saying no to unrelated ideas and projects. It is only when you focus on where you want to excel, you can truly become an expert. Trying to become everything to everyone is the surest way to failure. You want to be the best in what you do, not the jack of all trades. Hence, find out who you want to be, which area you want to be an expert, and figure out how to get there. I bet that you have heard about the 10,000 Hours Rule. The idea was popularized by Malcolm Gladwell in his best-selling book, Outliers. Gladwell writes in his book that it takes roughly about 10,000 hours of practice to achieve mastery in any field. Gladwell also writes about how Bill Gates, one of the richest men in the world, goes on to achieve over 10,000 hours of programming practice prior to founding Microsoft. While some may argue that the 10,000 Hours Rule is a myth and it is not true, but I truly believe that in order to become an expert in what you do, you need to dedicate time to it. Kobe Bryant is no doubt one of the most successful basketball players of all time. He is the winner of 5 NBA championships and 2 Olympic Gold Medals, and has also accumulated over $200 million during his playing career. Below is a story told by Robert, an athletic trainer for Team USA who worked with Kobe for the Olympics. As you can see, becoming an expert requires time. You have to dedicate time to become an expert in what you do. Things don’t just come naturally. It takes practice, time, and hard work. I must admit, by simply dedicating time alone to what you do will never make you an expert. Time is required, but you also need another principle, which is deliberate practice. I bet that you have seen people who dedicate time to his work but at the end of the day, he still works at the same place and doing the same thing for ten years, without improvement. Thus, besides spending time, you must also commit to deliberately practice to become good in your field. For instance, if you put in 10,000 hours into jogging, that doesn’t make you an Olympian, right? It takes more than just time. I like how Angela Duckworth explains it in her book, Grit. It is a great book that I strongly suggest you read. In the book, Duckworth writes that deliberate practice is not just about the ordinary practice where you repeat the process day-in and day-out, it is repetition with improvement. For example, when it comes to running, most people have the wrong idea by thinking that as long as they commit to run, they will become good at it. While this is true, but your running skills will eventually hit a plague and somehow, your skills won’t grow anymore. What you need then is deliberate practice. In deliberate practice, you measure, track, and focus on improving your skills. Do you track your heartbeat rate? Do you measure the intervals you run and the intervals where you jog? Do you take the route into considerations? How about the meals that you took before you run? Do you have any specific target like to finish the run within 30 minutes? Do you even have a coach to help you improve? These are important metrics that you must focus on when it comes to deliberate practice. If you are only repeating the process, you are not practicing deliberately, rather, you are only repeating the process. This is why professional athletes have coaches. They track everything and they practice deliberately to improve their skills. In order to become an expert in what you do, you must practice, deliberately, with a purpose to improve your skills. So don’t just repeat the process every day, instead, try to improve your skills with a plan and a system. Another important key to becoming an expert is to become an educator and an advocate for your target market or audience. Look at how Gary Vaynerchuck positions himself as a social media expert. When someone who is in need, he or she knows who to look for. And if you are the first person that comes to mind, congratulations, you have just proved that you are the expert in your industry. When it comes to electric vehicles, the first person that comes to most people’s mind is Elon Musk, the man who founded Tesla. And when we talk about phones, we think about Apple. Dave Ramsey, the financial expert has a site where he posts tips and articles for his customers. He educates his audience and shares useful information through his blog. He even offers seminars, talks, and many other resources to help educate his customers. All these elements of educating others position him as an expert in the financial industry. The same goes for Gary Vaynerchuck who constantly shares good content and publishes books to educate people with his knowledge. The more you share with your target market, the more followers you build. And the more followers you have, the more you position yourself as an expert in your industry. We have to face it. This is an information age where content can be given and shared freely. Of course, I’m talking about good content where people can benefit from it. Why do you think people build blogs? Even Richard Branson, the billionaire who founded Virgin Group has a blog. So what is stopping you from creating your own blog to educate people? If you want to be an influencer, an expert, or the market leader, you must portrait yourself as someone worthy and who has your own point of view. And the only way to do so is to become an educator, an info-counter, and someone who shares worthy info that benefits others. If you want to be an expert, you must join the league and become one of them. You must network and mix with other experts in the field. I hope you understand that we become who we mix around most of the time. In fact, most people understand this principle. But most of them are not doing anything to grow their network with other successful people and they spend time with the wrong people. This is not to say that you should leave all you unsuccessful friends, but you must understand that the more time you spend with other experts in the field, the better you will become. This is because other people’s thinking and beliefs can influence you. In Malaysia, we are able to speak multiple languages. Like myself, I know how to speak Mandarin, Malay, English, Hokkien, and also Cantonese. Guess what, this is the result of mixing with others. At home, I speak Hokkien with my family members. And I learn Mandarin, Malay, and English at school. Malay and English are 2 compulsory subjects in Malaysia’s education system. As for Cantonese, I ‘forced’ myself to learn and to speak the language with my colleagues when I’m working in Kuala Lumpur, the capital city of Malaysia where the majority speaks Cantonese. So as you can see, I don’t think that I’m extremely talented in language speaking, but because of the people I mix with most of the time, I get to learn and acquire new language speaking skill. Therefore, it is the same in business and your career. If you want to be an expert, mix with other experts in your field. You will think like they do and act like they do. That eventually will make you an expert. As I have said earlier, to become an expert in your industry, you must be willing to market your skills and expertise. If you are not willing to share your voice with the world, nobody will know that you existed. And if people don’t know that you exist, how can they know how good you are? You can create a blog or write a book to document your findings and knowledge. You can speak at a conference about the trials and resolutions and even your experiences so that others can learn and benefit from you. The more you market yourself, the bigger the followers you will have. Experts and influencers have their own group of fans. At the point of this writing, the official Kobe Bryant Facebook page has over 20 million fans, Gary Vaynerchuk has about 2.8 million Facebook followers, and Tony Robbins has about 3.5 million followers. While it is true that these fans and followers may not be the key metrics to becoming an expert, but it is a great way to brand yourself in your industry and position yourself as an influencer. Why do you think these extraordinary people have so many followers? Well, because they market themselves as an expert. You must be willing to expose yourself, your business, or your products and services to the world. If you don’t, trust me, your competitors will. And if your competitors market themselves much better than you, people will look at them as the experts, not you. Finally, you must believe that you have what it takes to become an expert. You must believe that you can do it. This is fundamental to achieving outstanding success in whatever you do. If you don’t believe that you can be an expert, there is no way you can achieve extraordinary results in life. You may have heard about this story. What I want to share with you is that your beliefs will determine your outcome. When you believe that you are building something big and meaningful, you are more willing to work on it. On the other hand, when you don’t see yourself building and achieving something meaningful, you will approach your work with a half-hearted attempt. Becoming an expert requires you to believe that what you do are meaningful and that you are capable of becoming the best. When people don’t believe that they can be the best, they will never do their best. But when they see themselves as an expert and believe that they are successful, they are willing to go the extra mile and pour in more hard work. Thus, believe that you can be the best in what you do. Trust that you can be successful in life. And finally, see yourself as an expert in your industry, and do what an expert will do. Becoming an expert in what you do may not be an easy task, however, that doesn’t mean that you can’t achieve it. Do you think that you are the expert in your field? And which tips you do like the most? Share your opinion with me by leaving your comments below.